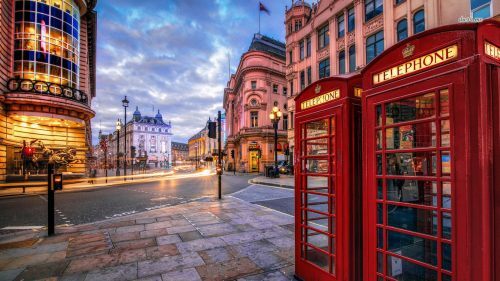 WestJet has dropped the price of some of their non-stop flights from Vancouver to London, UK in May 2016 down to just $528 CAD roundtrip including taxes. May 9, 10, or 11 to May 17, 18, 19, or 20 is currently $554 CAD roundtrip including taxes on WestJet.com. The outbound flight has a stop on the way there (Calgary or Toronto). The flight home is non-stop. 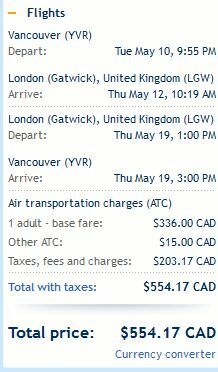 One Response to "Vancouver to London, UK - $528 CAD roundtrip including taxes | non-stop flights"
Update @ 11:38 AM PST - It seems like most of these may have sold out. May 7 or 12 to May 19 is still showing as $569 CAD roundtrip including taxes on WestJet.com - appears to only be single seats left though.